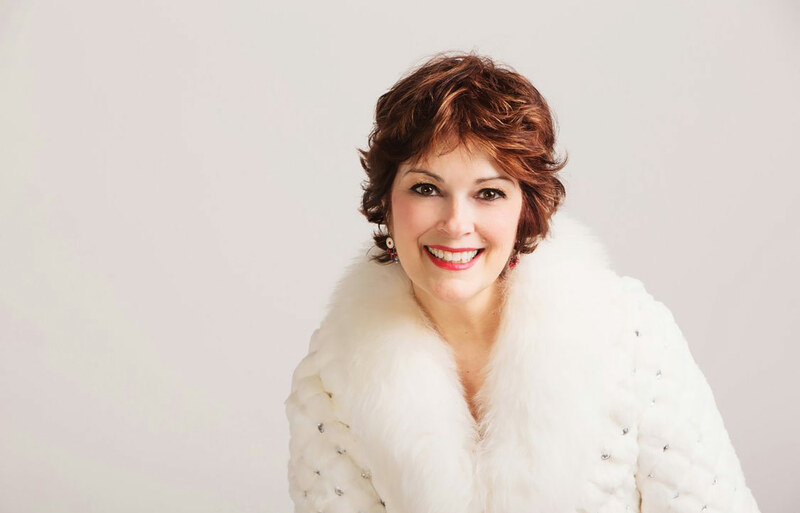 Jennifer Larmore is an American mezzo-soprano, with a wide-ranging repertoire, having begun with the coloratura roles of the Baroque and bel canto then adding music from the Romantic and Contemporary periods. She began her career at Opera de Nice in 1986 with Mozart’s La Clemenza di Tito and went on to sing at virtually every major opera house in the world, including the Metropolitan Opera, La Scala, Paris Opera, Tokyo, Berlin Deutsche Oper, and London Covent Garden. She is a two-time Grammy Award winner who has recorded widely for the Teldec, RCA, Harmonia Mundi, Deutsche Grammophon, Arabesque, Opera Rara, Bayer, Naive, Chandos, VAI and Cedille labels in over one hundred CDs to date as well as DVDs of “Countess Geschwitz” in Lulu, “Jennifer Larmore in Performance” for VAI, Il Barbiere di Siviglia (Netherlands Opera), L’Italiana in Algeri (Opera de Paris), La Belle Hélène (Hamburg State Opera), Orlando Furioso (Opera de Paris) and Jenufa (Deutsche Oper Berlin). She has recorded two charming books on tape by Kim Maerkl entitled Mozart’s Magical Night with Hélène Grimaud and the Bavarian State Orchestra and The King’s Daughter with story and music for flute and string orchestra by Kim Maerkl with the flute player Natalie Schwaabe. With her frequent collaborator Antoine Palloc, she has made many International recital tours, including appearances in Amsterdam, Paris, Madrid, Hong Kong, Seoul, Tokyo, Vietnam, Vienna, London, San Juan, Prague, Melbourne, Brussels, Berlin, Rio de Janeiro, Lisbon, Sao Paolo, Athens and Copenhagen, as well as all the major American venues. Symphonic repertoire plays a large role in this mezzo’s career with the works of Mahler, Schoenberg, Mozart, de Falla, Debussy, Berlioz and Barber featuring prominently. Miss Larmore has enjoyed great collaborations with world orchestras under the direction of Muti, Lopez-Cobos, Bernstein, Runnicles, Sinopoli, Masur, von Dochnanyi, Jacobs, Mackerras, Spinosi, Abbado, Barenboim, Bonynge, Maazel, Osawa, Guidarini and Hengelbrock. Jennifer’s repertoire has expanded to include new roles such as “Marie” in Berg’s masterpiece Wozzeck, which she recently sang to great success at the Grand Théâtre de Genève. Berg is now a specialty of Miss Larmore with her having sung “Countess Geschwitz” in Berg’s Lulu at Covent Garden in the Christof Loy production with Tony Pappano, then again in Madrid. At Paris Opera Bastille she sang in the Willy Decker production and she reprised the role yet again in a new production of William Kentridge with Lothar Zagrosek conducting for the Nederlandse Opera, and at the Rome Opera. She has also become well known for “Kostelnička Buryjovka” in Janacek’s Jenůfa which she performed with Donald Runnicles at Berlin Deutsche Oper. The DVD of this production was nominated for a Grammy. She reprised her “Kostelnička” in this same production for the New National Theater in Tokyo. “Lady Macbeth” in Verdi’s opera Macbeth is a role she debuted in a striking new production of Christoph Loy at the Grand Théâtre de Genève, then in the Bob Wilson production in Bologna and Reggio Emilia. Her first “Eboli” was in the French version of Don Carlos at the Caramoor Music Festival in New York, with Will Crutchfield conducting, and she sang “Jocasta” in Stravinsky’s Oedipus Rex at the Bard Festival. Adding to her growing list of new repertoire, Miss Larmore debuted the role of “Mère Marie” in Les dialogues des carmélites at the Caramoor Festival, New York. She went back to her roots with “Ottavia” in Monteverdi’s l’Incoronazione di Poppea at the Theater an der Wien in October 2015 and returned there in December 2016 for her debut in the role of “Elvira” in Mozart’s Don Giovanni. Miss Larmore, in collaboration with the double bass player Davide Vittone, has created an ensemble called Jennifer Larmore and OpusFive. This a string quintet offering programs that are entertaining and varied with Songs and Arias, Cabaret/Operetta and Movies and Broadway. They have given concerts in Seville, Pamplona, Valencia, Las Palmas, Venice, Amiens, Olten, Aix en Provence, Dublin, and Paris. The 2017-18 season will see Jennifer debut “Anna 1” in Kurt Weill’s The Seven Deadly Sins for the Atlanta Opera, then returnto Hamburg State Opera for a reprisal of La Belle Hélène. She then travels to Cologne for a production of Il Matrimonio Segreto. Other engagements will include a concert called “An American in Paris” with Orchestre de Cannes and Benjamin Levy, concerts in Grenoble, Olten and Mageve with OpusFive, a revival of the Christof Loy production of The Merry Widow in Genève as well as master classes in Europe and the United States.